Aqua drop earrings. 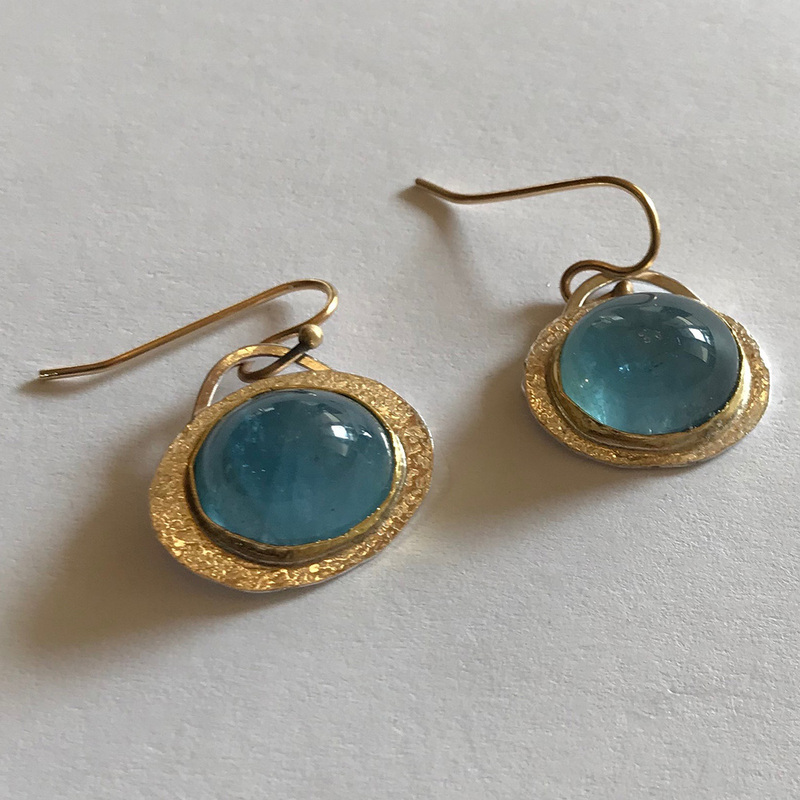 Beautiful blue cabs made into small drop earrings with a 22k gold bezel. 14k gold ear-wires finish the earrings.